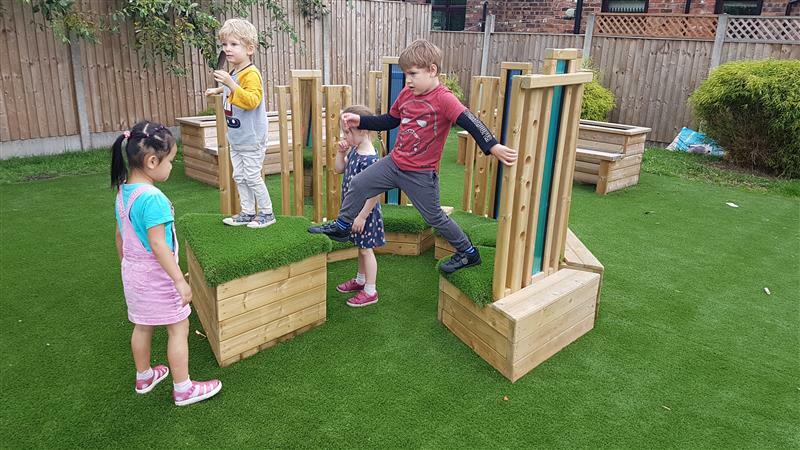 Our Walk and Talk Circle is made up of movable, open-ended sensory seats which create an environment that encourages group conversation, the development of language and social skills. 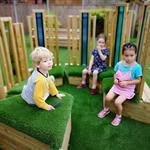 Children enjoy the social and sensory aspect of these seats, simply looking and talking through the slats. Active play can also take place as children step from one seat height to the next, around the outside of the seats or even the inside. As part of your garden setup, Den Making materials can be incorporated to allow child-led construction activities. The holes in the seat backs provide the perfect area for materials to be weaved and threaded through, further developing children's communication, language, cooperation and fine motor skills. 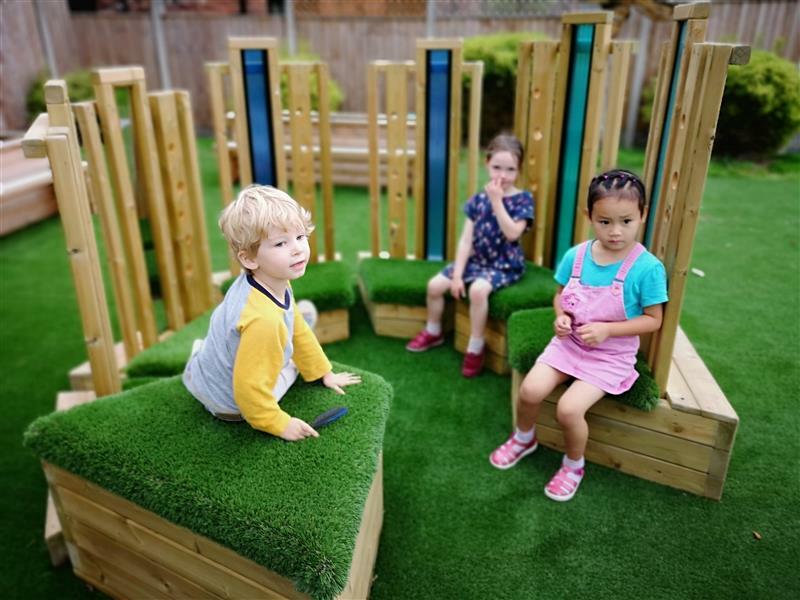 Our Walk and Talk circle come as a set including six different seats, at three different heights and a taller storage seat for loose play materials as apart of child-led imaginative play. 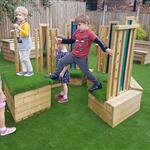 The taller seat crosses over as a comfortable place for Nursery Practitioners to sit and lead adult-led play activities with the children.